Travel to the sandy white beaches, attractive underwater life, beautiful rain forests, mountain ranges, wildlife safari and scenic plantations of Sri Lanka with TriBeCa Travels. 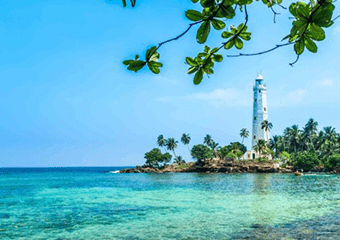 Visit heritage sites and tea plantations and immerse yourself in the rich history and tradition of Sri Lanka. The itinerary is customized to ensure the best experience, with a perfect balance of sightseeing and relaxation.